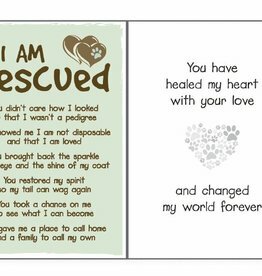 Interior Reads: You have healed my heard with your love, and changed my world forever. 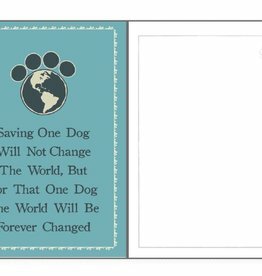 Front Reads: Saving one dog will not change the world, but for that one dog, the world will be forever changed. Interior Blank.